​Wolves manager Nuno Espirito Santo admitted he was rightly sent off after his side secured a breathtaking 4-3 win over Leicester on Saturday. 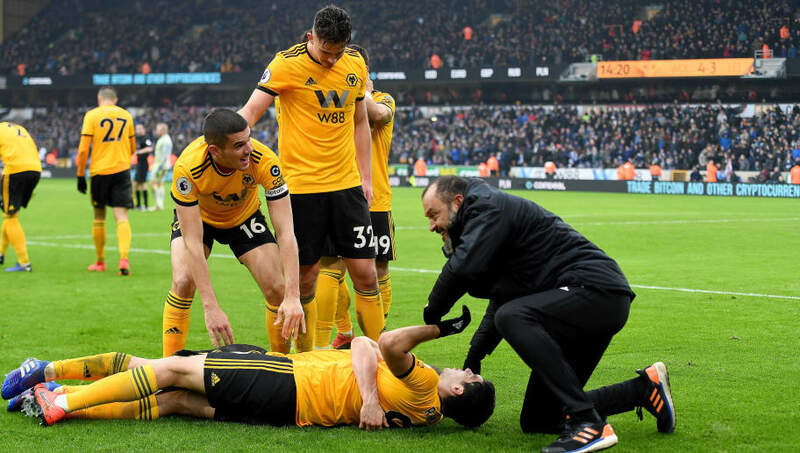 Diogo Jota's hat-trick, including a 93rd minute winner, gave way to wild celebrations on the home touchline - culminating in Santo encroaching onto the pitch. After hugging the goal-scorer, the Portuguese was then sent to the stands by referee Chris Kavanagh in the aftermath. Speaking post match as quoted by ​Wolves' ​official website, Santo agreed with his dismissal: "I was sent off, but rightly so. We cannot go on the pitch. I tried my best to avoid going on the pitch, but someone saw me. “I had to hug him [Jota], because he came back from injury and he’s worked very hard. Every time he’s on the football pitch he gives 100 per cent and I really appreciate it. "They know that the football game is never over. They keep still believing and we have to play to win, this is football and we have to play to win. Both teams did a fantastic job today and I think everyone enjoyed it." The ​win moved Wanderers above ​Leicester into eighth in the Premier League, in what was only the host's ​second win in six league outings. However, despite recording his ninth win of the season, Santo called on a defensive improvement after conceding three goals for the second time at home this campaign. He added: "We started well, but once we went in front we should have managed the game better, especially at the beginning of the second half. It is something we have to look at, but we have to do better. "But if we had not won, we would have been blaming ourselves, because we wouldn’t have achieved what we wanted to achieve. “But this is football, it’s lovely to have finished this way and we were happy to get the win."